On a segment on the Today Show (which aired on August the 20th) presenters Kathie Lee Gifford and Hoda Kotb talk about misophonia. It’s a short clip and they spend most of it laughing about misophonia, trying to mimic trigger sounds and doubting that it actually exists. But publicly ridiculing people’s disorders or disabilities and suggesting that they’re silly, laughable or “phony” is a form of bullying. It’s incredibly insensitive not just to the direct victims but to their friends and family who have to live with it on a daily basis. It’s also damaging to the miso community at a time when we’re trying to raise greater awareness about the condition. If a public figure did a segment on TV merrily mocking depression or anorexia or Tourettes syndrome while swilling wine and pulling faces, there would rightly be an outrage and an apology issued. No one’s interested in retribution or mob vigilantism – everyone makes mistakes and does stupid, insensitive things from time to time. But when the platform is a public one and you are reaching out to millions of people, there is an implicit duty of care. That’s why the right thing for the show to do is apologise for the way they treated the subject with a complete lack of care or consideration. Sadly the Today Show have not been forthcoming in this respect, so the International Misophonia Research Network has created a petition on Change.org asking “Hoda Kotb and Kathie Lee Gifford to apologise for ridiculing misophonia”. Please do have a look at the petition and put your name down, it’s free and only takes a few seconds. It’d also be great if you could also share the petition link on Social Media so we can hit the 5,000 target. This could be a fantastic opportunity to turn some negative, insensitive press into something really positive. Wow, just wow. I’ve never been a fan of NBC, their liberal bias is enough to send me into a rage. But apart from politics, this is just an obscenity. I have run into things like this before, however. Once told a coach about my condition and she belted out into laughter. That was a terrible night. But this is even worse than that. My coach was only offending me, these ladies have offended a whole multitude of people. Now, I’m not much of a petition signer, especially when I have to give my address, but there needs to be an apology issued here. And I agree with everything you have written in this article. Thank you for sharing. Hi Rachel. I’m from the U.S. and I started the petition with the help of some other really great people in the U.S. Anything you can do to pass it around would be greatly appreciated. We have not gotten any response from the Today Show. So we need help! Thanks!!!! This disgusts me and I really want to do something about it. 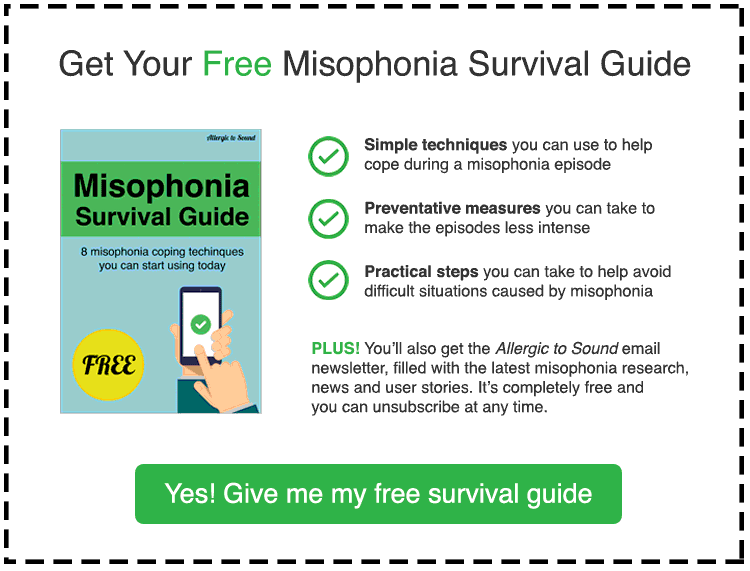 I have been suffering from Misophonia for 3 years now and am trying everything in my power to raise awareness and the seriousness of it. I hate that every time it is mentioned, people make fun of it and don’t even take the time to try to understand or do their research. Thank you so much for this. I will sign and spread it around. It hurts so much to see the world doing this when it’s already hard enough at home.